Oops! You have large excel worksheet and need to combine multiple cell into one cell; what will you do? Will you do cut and paste from one cell other cell? 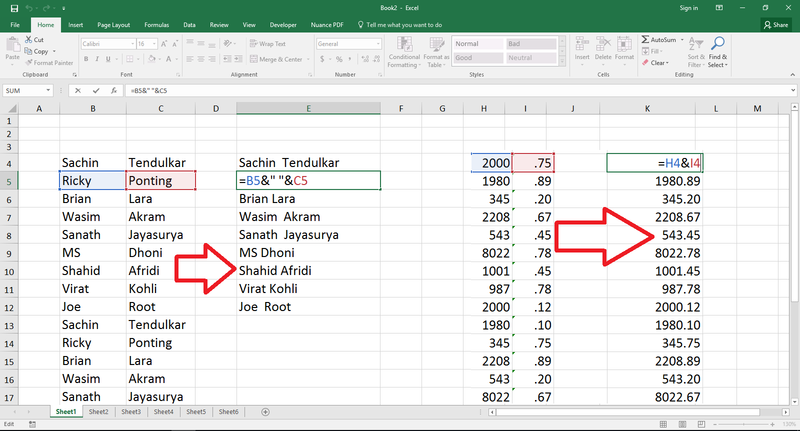 No please don’t do this it will take lot of time and energy, I will shows easiest way to combine or merge multiple cell text into one cell without doing any hard work.